Durham, NC - The Bulls pushed four runs across in the eighth against Bats reliever Aroldis Chapman and held on for a 7-5 victory over Louisville on Tuesday at Durham Bulls Athletic Park. Chris Richard had a game-tying single and Angel Chavez brought home the go-ahead run for the Bulls, who improve to a league best 47-31 on the season. Durham fell behind early as Louisville put three runs on the board in the third inning against Virgil Vasquez. A two-run double by Yonder Alonso brought across the first two runs, and Alonso scored later in the inning on a sacrifice fly by Juan Francisco. It would be the only three allowed by Vasquez on the night, who worked 5.0 innings in his first Bulls start since April 21 after injuring his wrist. 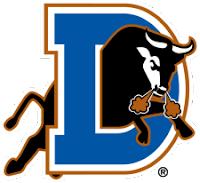 After Bats rehabbing starter Edinson Volquez set the first nine Bulls down in order, Desmond Jennings got a run back to lead off the fourth inning with his first home run of the season off the bull in left field. They would add another run in the sixth inning on a two-out, RBI double by Justin Ruggiano which scored Jennings to cut the deficit to one. The teams exchanged runs in the seventh inning, as Zack Cozart hit his 10th home run of the season to extend the Louisville lead to two. In the bottom half of the inning, Chapman hit Dioner Navarro in the back with a 102 MPH fastball with one out before the Bulls catcher came around to score later in the inning on a two-out error by Chris Valaika. Louisville added a run in the top of the eighth, but the Bulls came back in the bottom half of the inning to take the lead with four runs off the much-heralded Reds left-hander. J.J. Furmaniak started the inning with a single and Dan Johnson was hit by a pitch with one-out to put runners at first and second. A pair of wild pitches allowed Furmaniak to score, and Chris Richard came through with a game-tying RBI single off the third base bag to score Johnson. Right-hander Jon Adkins came out of the bullpen, but walked Navarro and allowed an RBI single to Angel Chavez which gave the Bulls the lead. Fernando Perez followed with an RBI double to conclude the scoring, giving closer Winston Abreu a two-run lead heading into the ninth. A two-out single by Wladimir Balentien brought the tying run to the plate in the ninth, but Winston Abreu struck out Francisco swinging to end the game and give the right-hander his eighth save of the season. Aneury Rodriguez earned the win, his fourth, after tossing 3.0 innings of relief allowing two earned runs on four hits while walking one and striking out two. Chapman took the loss, allowing four runs (three earned) on two hits while hitting two batters and throwing two wild pitches. After starting the season 0-27 when trailing after seven innings, the Bulls have put together comeback wins in each of their last two games. Durham sits atop the Southern Division standings, 9.0 games ahead of second place Charlotte. The two teams continue their series tomorrow as RHP Jeremy Hellickson (10-2 2.19) goes for his league leading 11th victory of the season. Game time is set for 7:05 p.m.